The Clambake October Six is a beautiful font family which comes in 6 styles: bold, regular, light and their Italics. It has a casual and modern look while keeping its good readability. 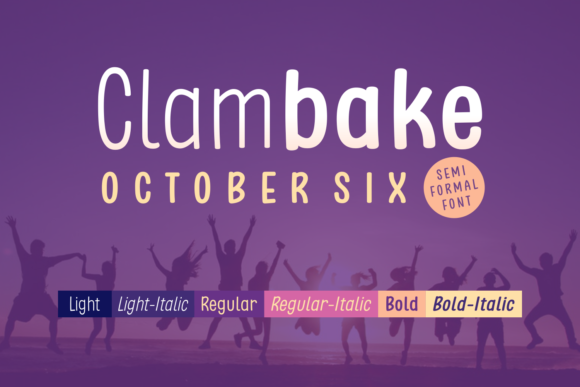 The Clambake October Six is perfect for every design that needs to stand out!